A nice summary of how to lead the raid cheese-free based on countless raids with my own friends as well as plenty of experience helping other people on LFG or elsewhere. 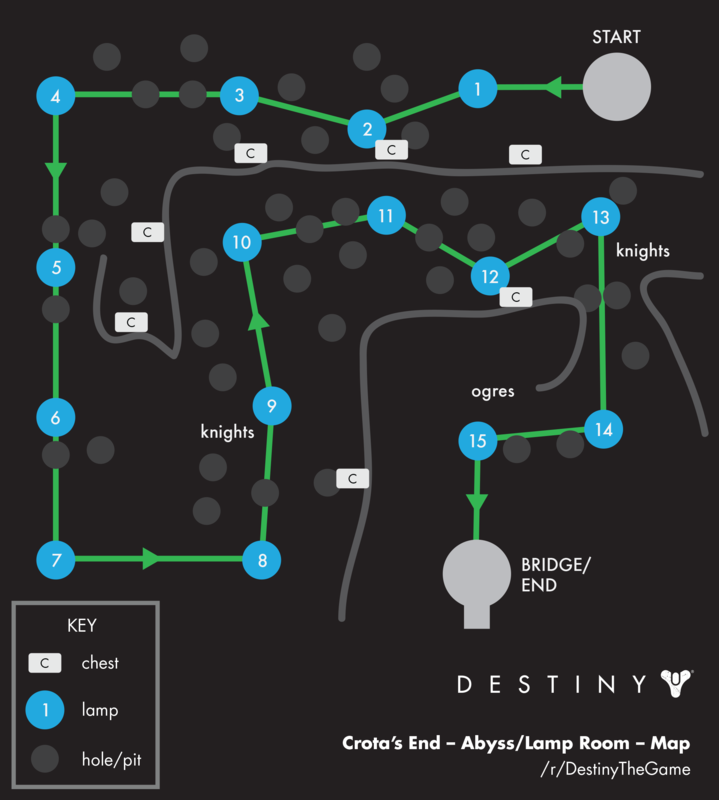 If executed well this should lead to a ~25 minute Crota's End completion from start to finish including all chests. I lead this three times back to back at the reset every week. The lamps section is all about coordination and staying together. Everyone is in the same group. 1. Get the first chest together, searching through the first 1-3 doors then wiping to reset as necessary. 2. Group up together on the starting pad and ask if everyone is ready. 3. Call out the direction of the next lamp, then count down "Three, two, one, go!" On "go!" all run to the next lamp. Time the "go!" so you're leaving when all of your Weight of Darkness is off. An ideal call-out should sound like "Next lamp is left ... three, two, one, go!" 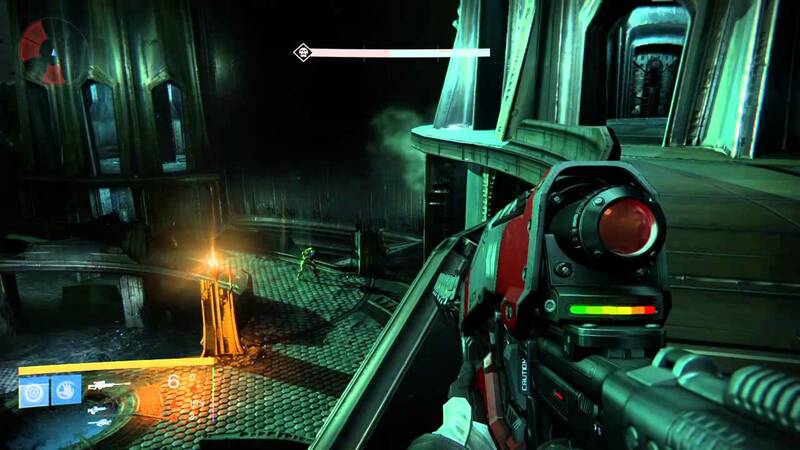 Hip-fire and use AoE grenades to fend off thralls as needed. 4. Skip the second to last lamp and just cut through to the final one. Let it take your Weight of Darkness off then activate the bridge pad. 5. After the lamp blows, get up on the two rocks to the left of the lamp and snipe Ogres. Or just defend at the pad. 4. 3 guardians in the "swordbearer hunting party" that are mobile and will be the first three across with the sword. Decide which order you will do beforehand. 5. Repeat for the next two guardians in the hunting party. The guardians in the hunting party that have already made it across can go to the ledge spot on the far right and snipe the swordbearer from the far side to help the last hunting party member. 7. Hunting party hunts down the swordbearer and goes across one by one. 1. 3 guardians on the kill team, responsible for killing shriekers. 2. 3 guardians on the run team, responsible for making it through the door. 3. At least one person needs to make it through the door for everyone to get it. 4. 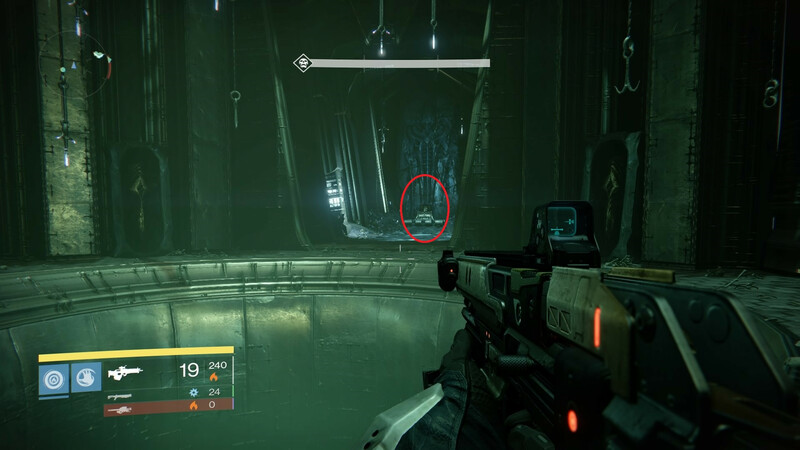 The trigger for the next checkpoint is leaving the hallway and entering the circular room. If you're not going to make it, don't go past this point and just wipe in the hallway for another try. 4. Boomer team immediately clears out boomers. 1-2 headshots from a powerful sniper rifle will take one out. 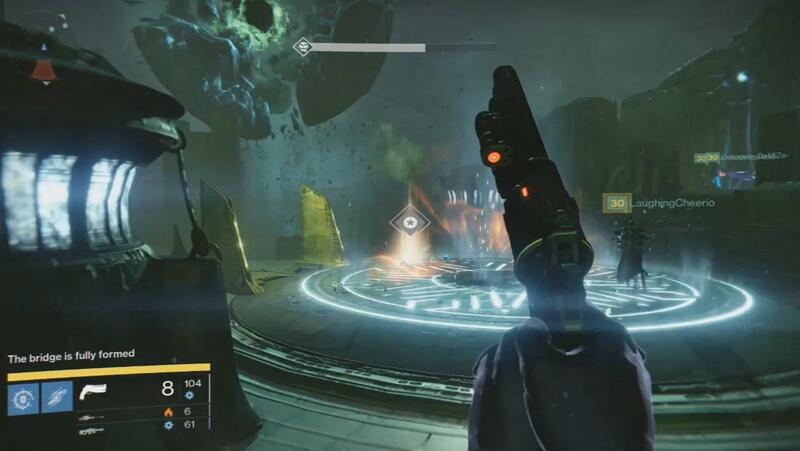 Be ready every ~15 seconds to keep clearing them out and call out "boomers" when you see them to alert other guardians. 5. Boomer team will also be responsible for "runners" or the knights that jump to the left side bridge and run towards you. Call out "runner" when you see one to alert other guardians. 7. DPS the swordbearer to get a quick kill, sword leader runs out to pick up the sword, then calls out "get ready to DPS!" 17. Repeat steps 7-12 again the same way. 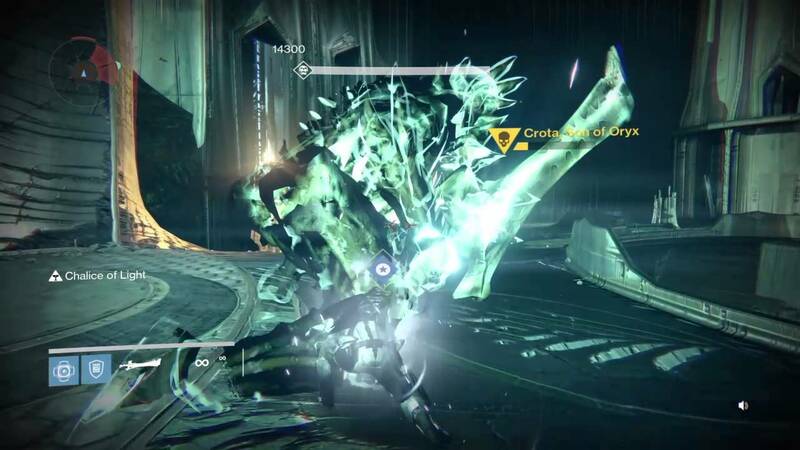 With a level 32 swordbearer, you will often kill Crota here.